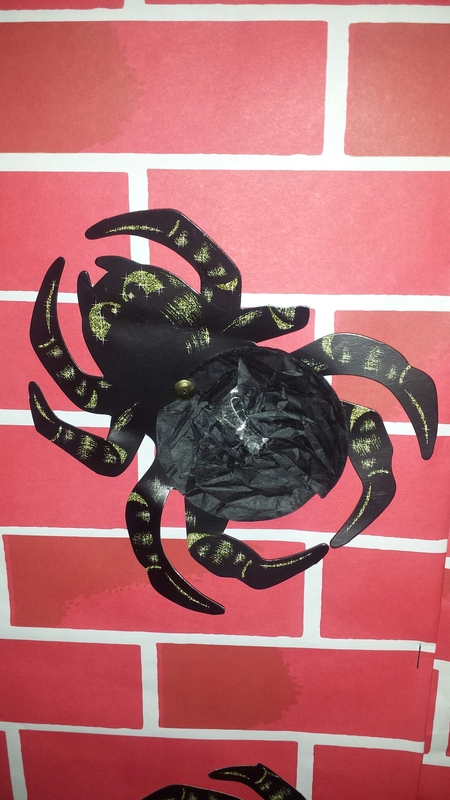 Fancy Dress Friday – Enter….if you dare! We’ve all been very hard at work over the past 8 weeks so we’re going to let down the hair a little tomorrow! We will have a little party during the day and children are invited to dress up for the occasion. 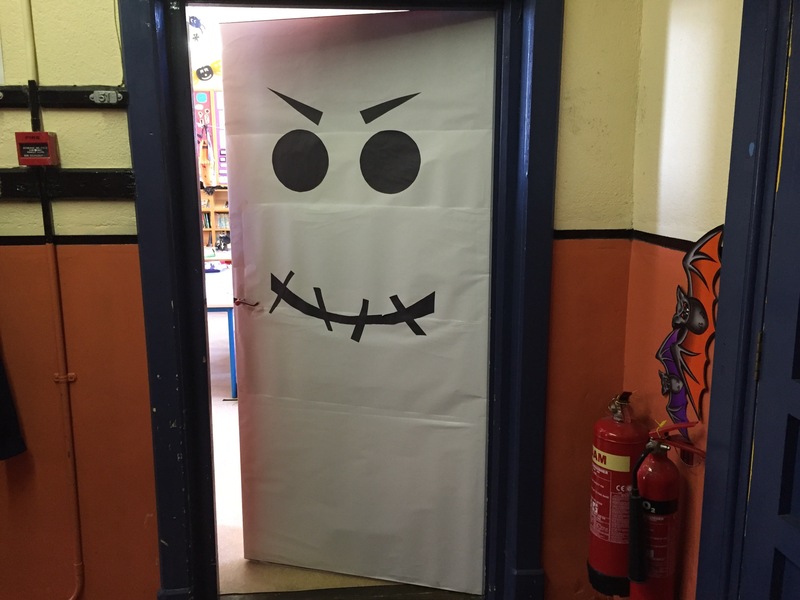 Some of the teachers are prone to bouts of weakness so try not to be too scary! 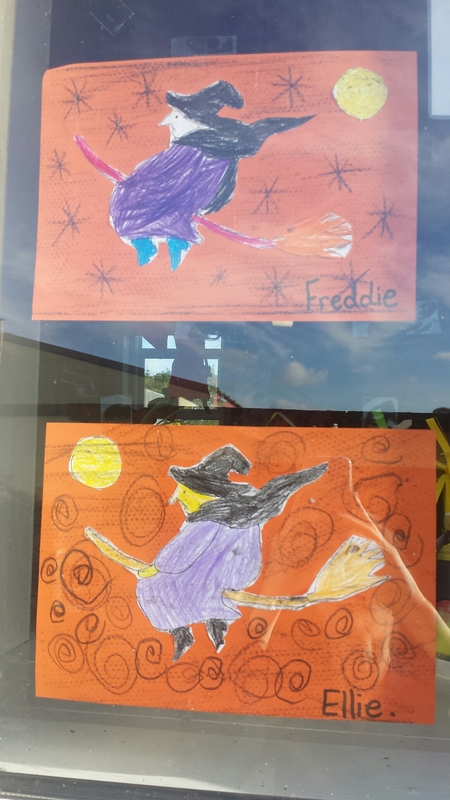 The school is looking especially spooky this year! 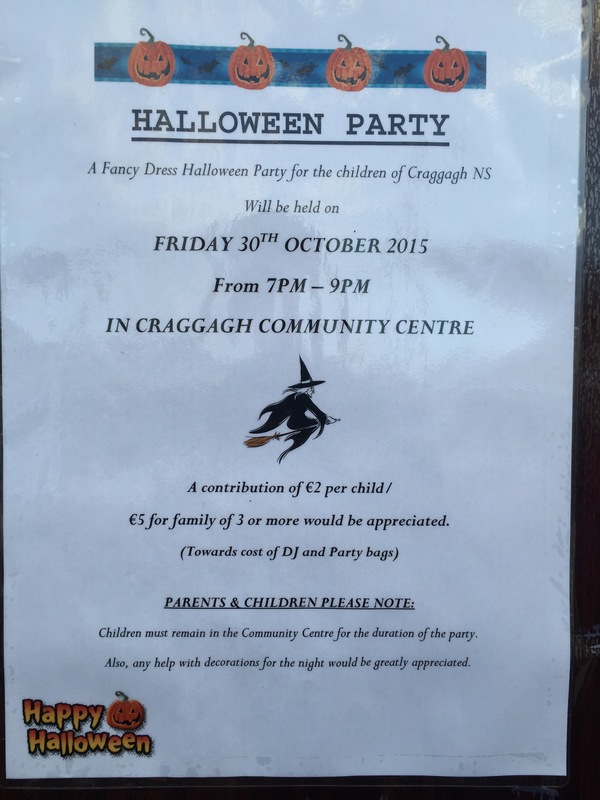 Don’t forget about the Parent Association party on Friday 30th too! Our Parent Association are holding their annual used clothes collection again this year. Last year, the monies raised funded the modern dance classes which took place during January and February. We hope to do the same again this year. 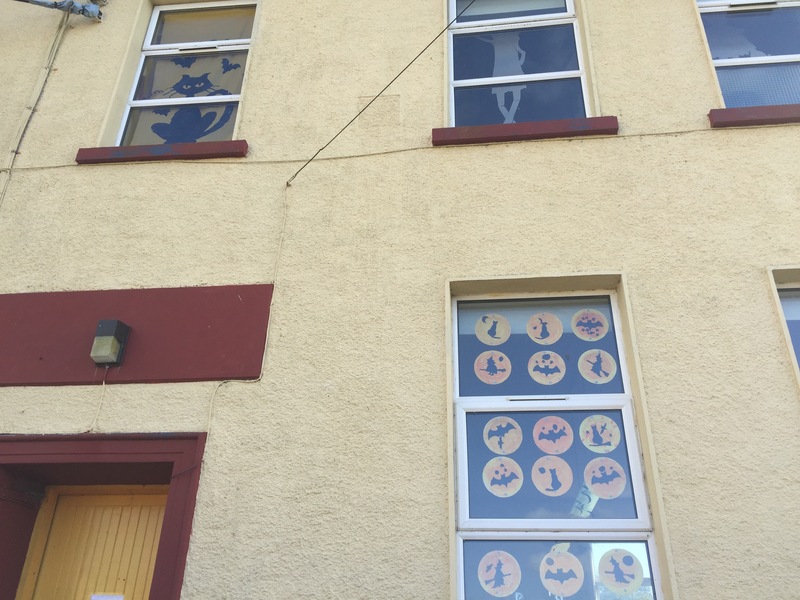 Hallowe’en party organised by our Parent Association will take place on Friday, Oct 30th in the Community Centre &7pm. 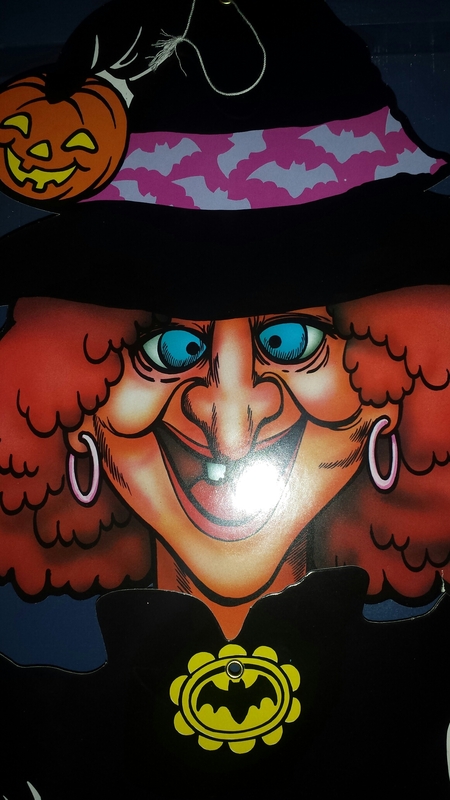 Also, don’t forget to wear your Hallowe’en costume to school tomorrow, Friday 23rd too! You never know what could be hiding behind that blue door!!! 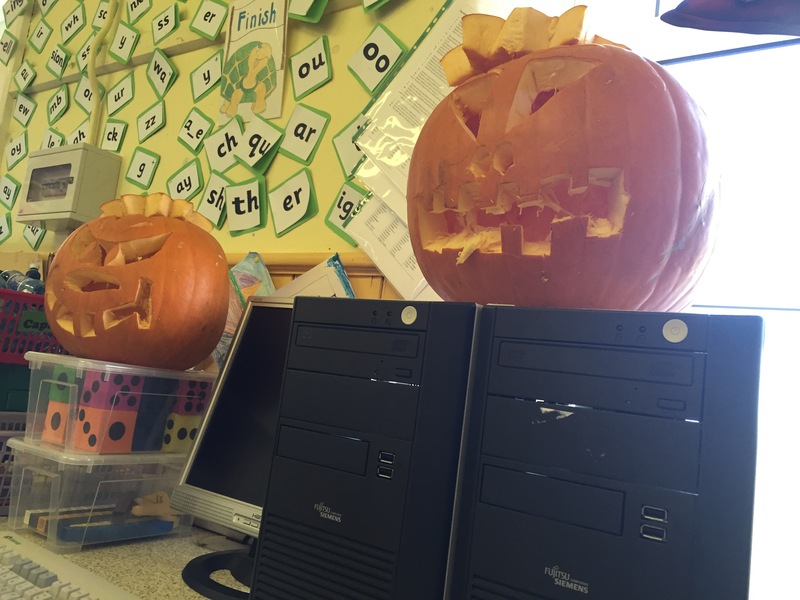 Preparations are under way in the Infant classroom for Halloween! 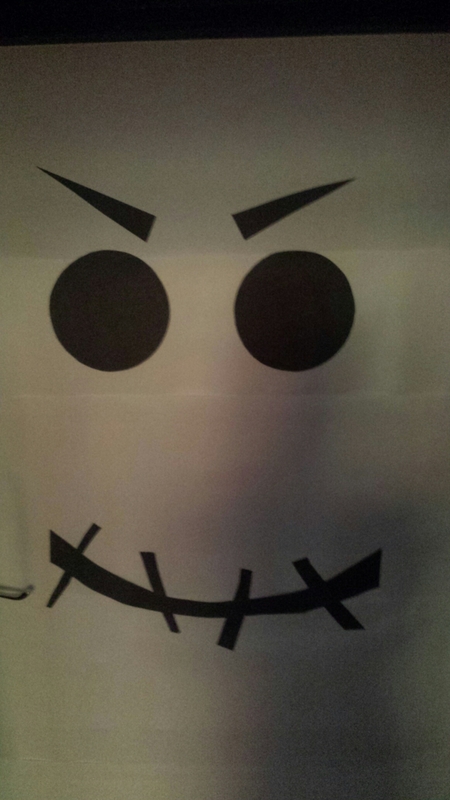 The children have made scary masks for trick or treating. 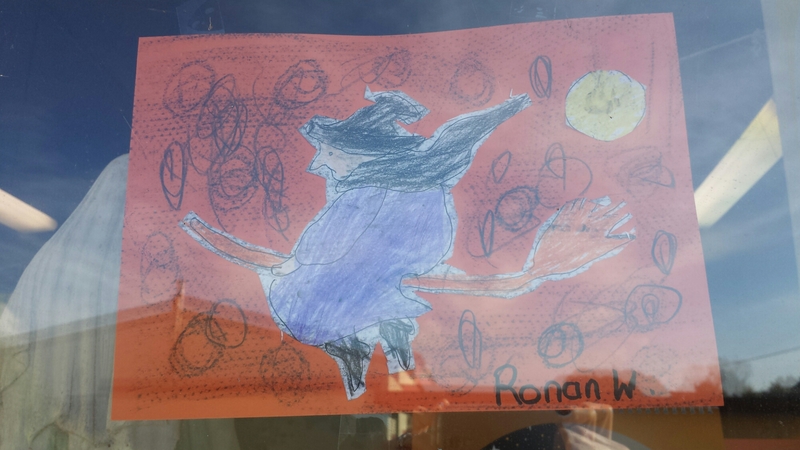 Check out the “Cailleach Ghránna” on the windows too! 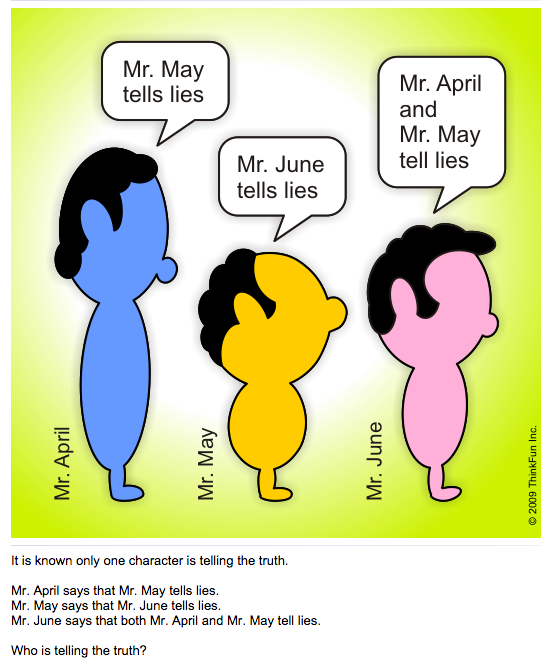 Here’s a few puzzles to round off Maths Week 2015! Each of the five men (A-E) needs to get to the respective house (marked with the respective letter and color). The problem is to discover how these five men can make these five routes without anyone crossing the route of another. In other words no more than one route is permitted through any cell. Men are allowed to move from cell to cell only vertically or horizontally, but never diagonally. Can you solve this challenge? 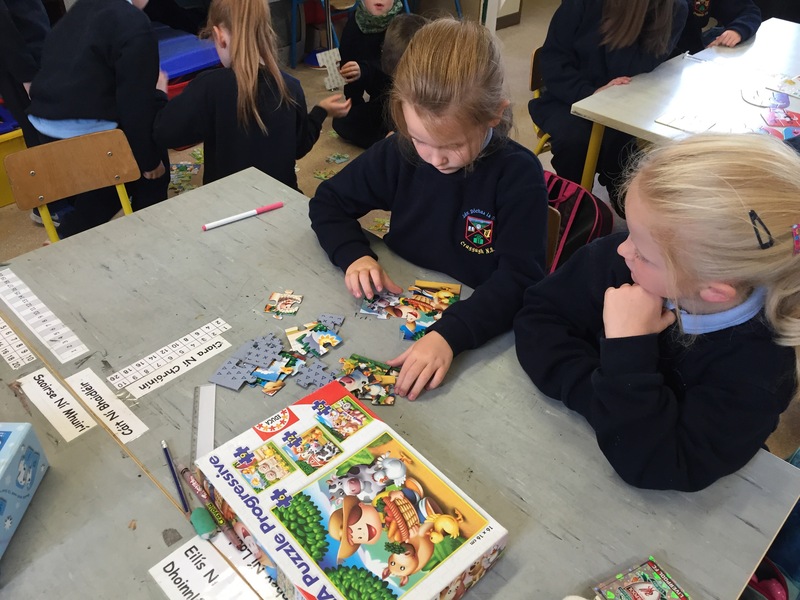 What better way to start a Friday morning than will some puzzles! 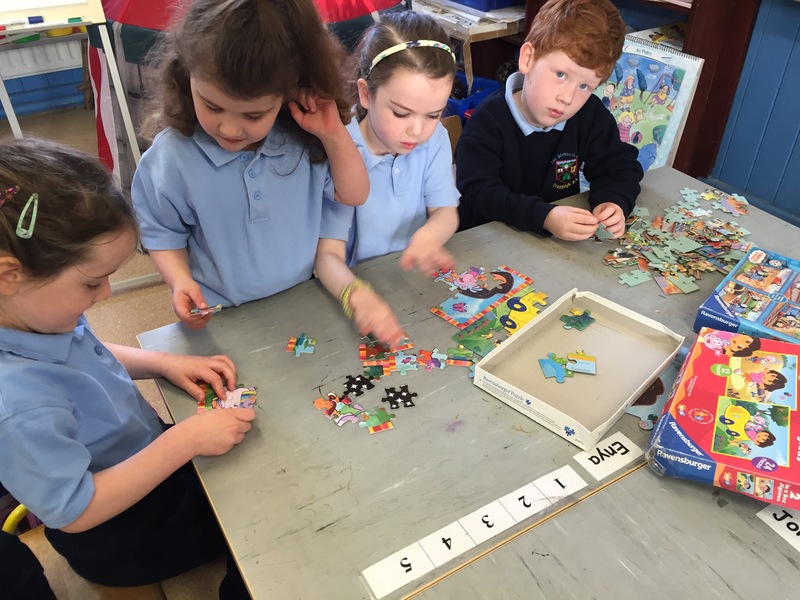 Our infants are very busy this morning, working collaboratively to make their puzzles. There’s plenty of discussion, reasoning and teamwork to be seen. Well done everybody! 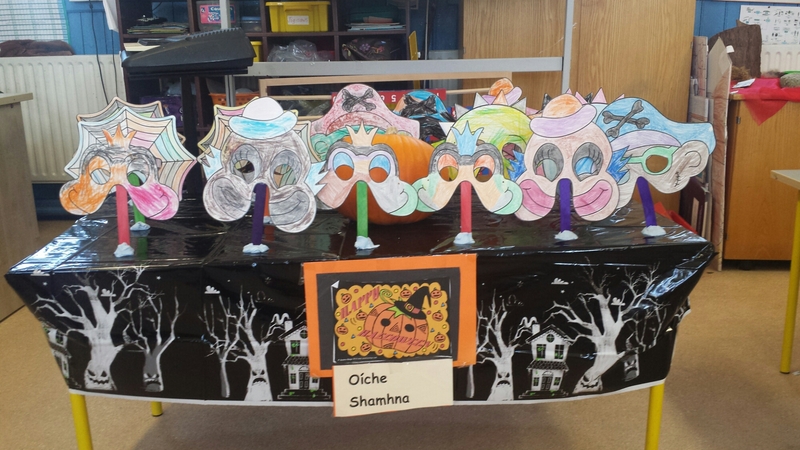 The AGM of our Parent Association was held last night, Oct 15, in the Community Centre. 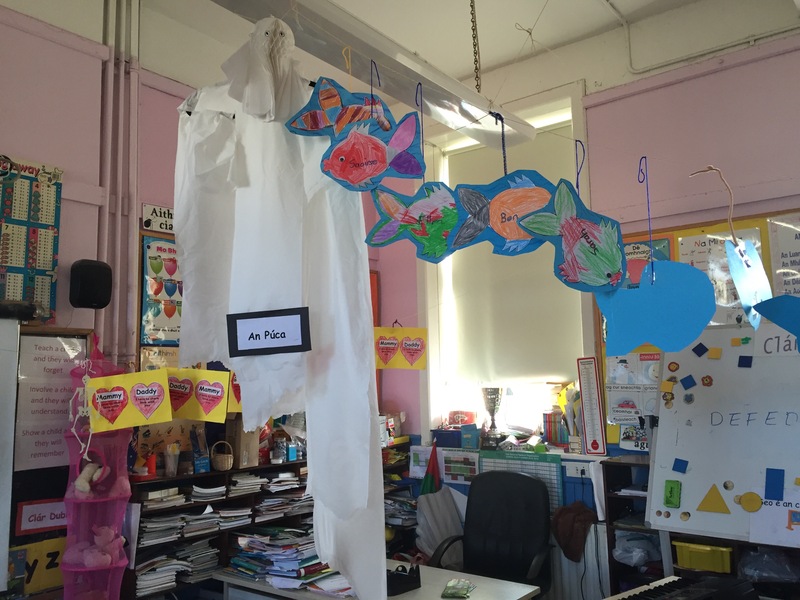 2014/15 was a hugely successful first year, and our PA has been a great addition to our school. 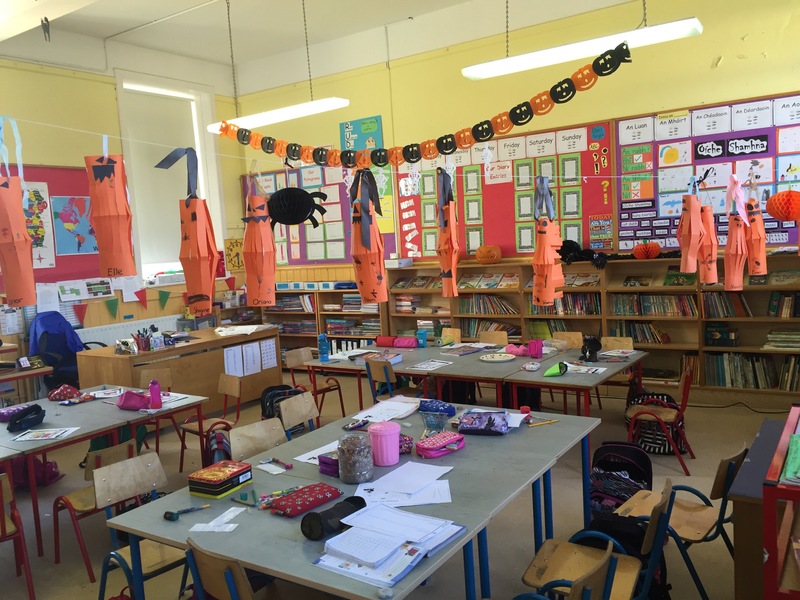 €600 will be donated to the school for the purpose of updating the classroom libraries. This funding is most welcome as it will benefit every child in every class. It is also hoped that our modern dance classes will again be funded by the PA in the new year. A talk is planned for the coming weeks on the topic of internet safety. A guest speaker from the NPC will attend. This evening will also allow parents the opportunity to discuss the school’s new Internet Acceptable Usage Policy which is currently at draft stage. 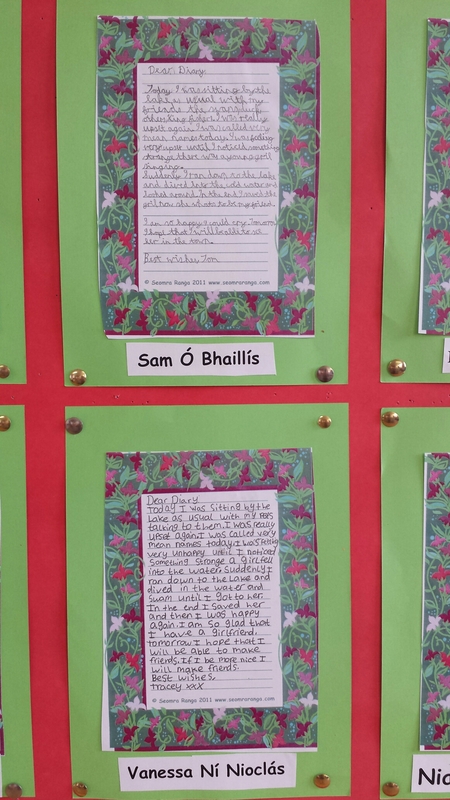 This week in 1st, 2nd and 3rd class, Miss Ní Mhaicín was reading a book called “The Gentle Giant” with us. 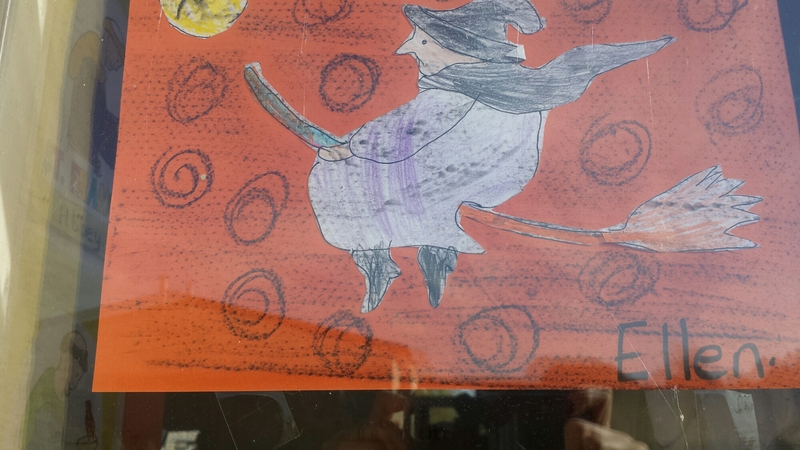 The book was written by one of our favourite authors, Michael Morpurgo. This is a great story about a Giant who is bullied by all the people in the village just because he is different to them. 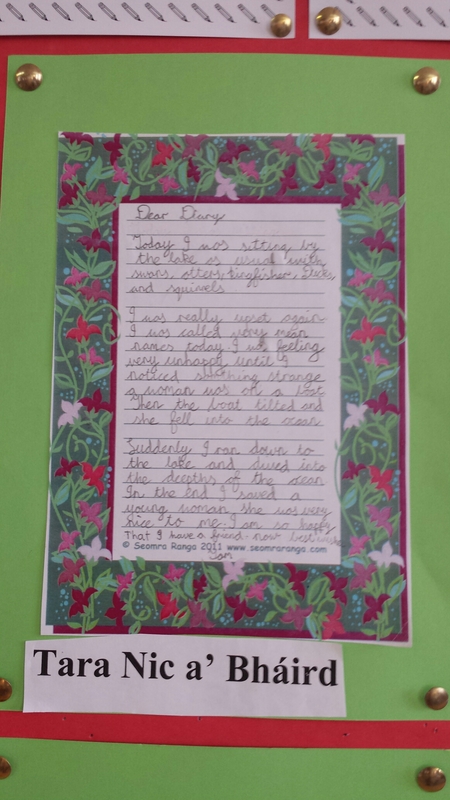 After reading some of the story we wrote diary entries from the Giant’s point of view. 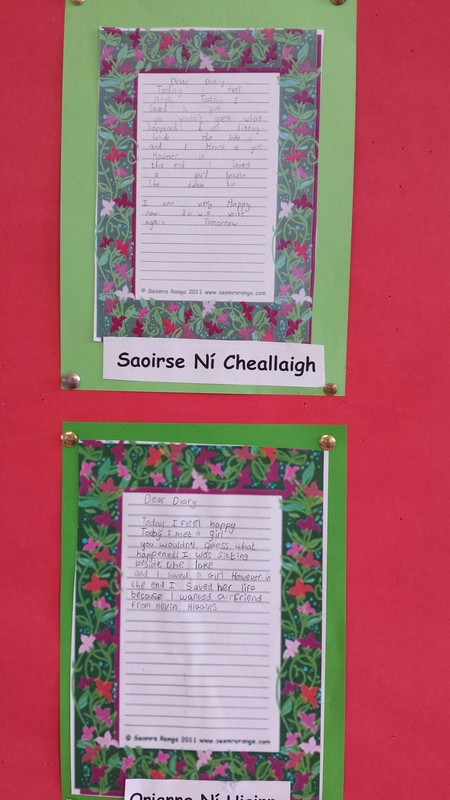 When we had drafted, edited and revised our diary entries, Miss Ní Mhaicín gave us some colourful writing frames to publish our work. 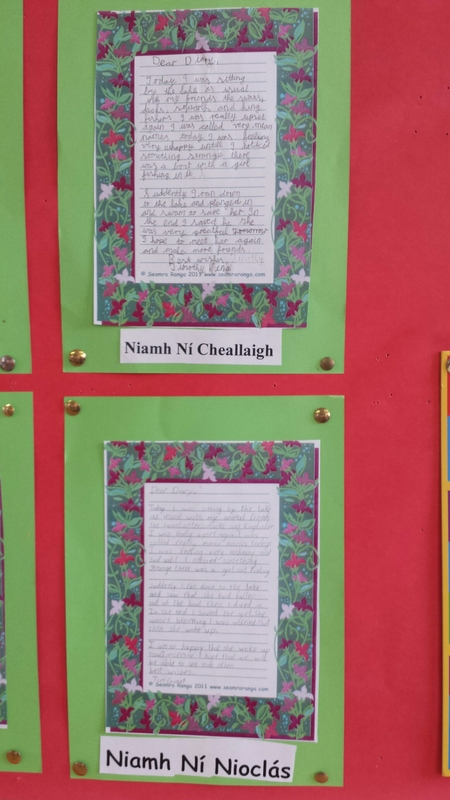 Here are a few examples of our diary entries which are on display in the classroom! 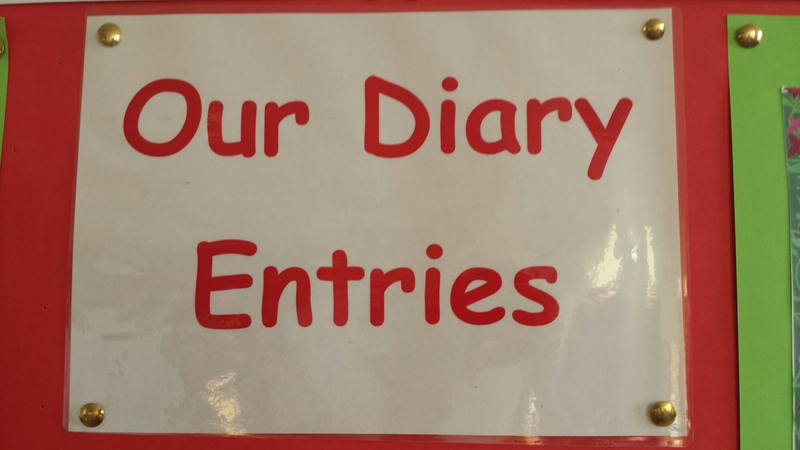 Welcome to our maths map challenge. You’ll need your ruler, a trundle wheel, a laptop/iPad and of course, your maths copy and pencil! Answer the following questions in order. What is the length and width of your maths copy? What is the length and width of your table? What is the length and width of our classroom? What is the length of our basketball court? 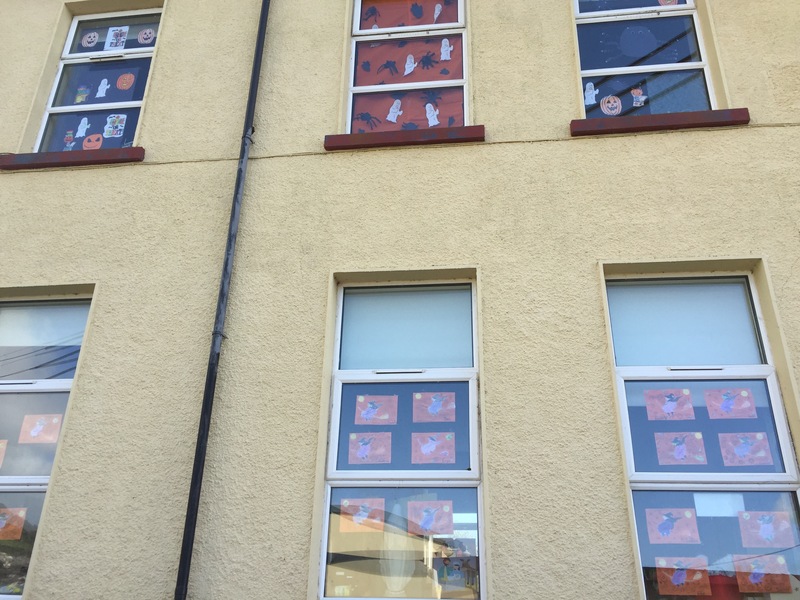 How many windows are there on our school? 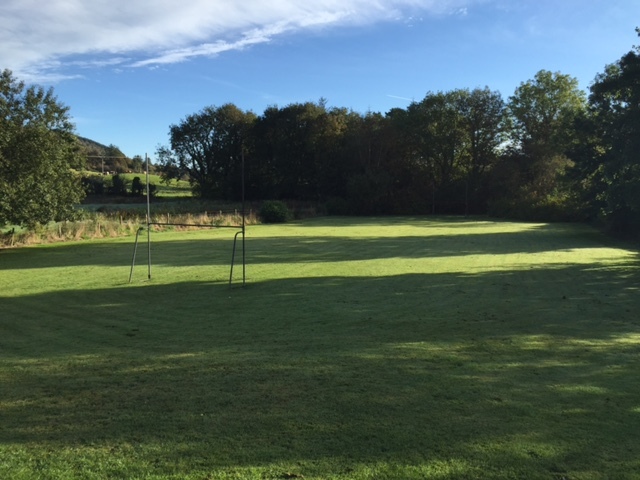 How many vertical right angles can you see in our football pitch? 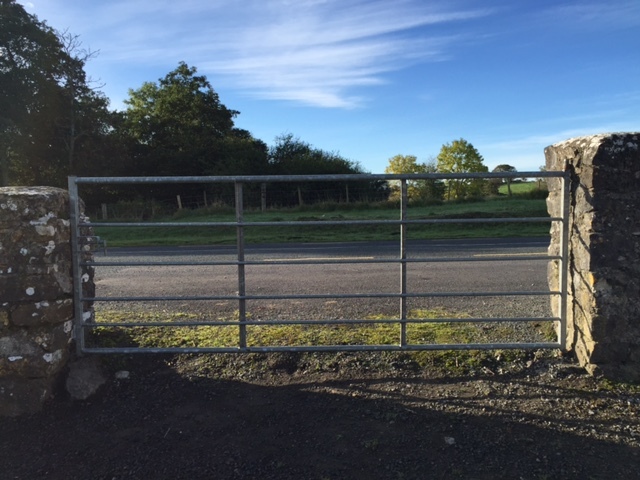 How many right angles are there on the large gate into the field? How many acute angles can you find on the basketball frame? How many obtuse angles can you find on the basket ball frame? How many right angles can you find in the yellow markings on our basketball court? How long is the runway at Knock Airport? How much longer than our basketball court is the runway? 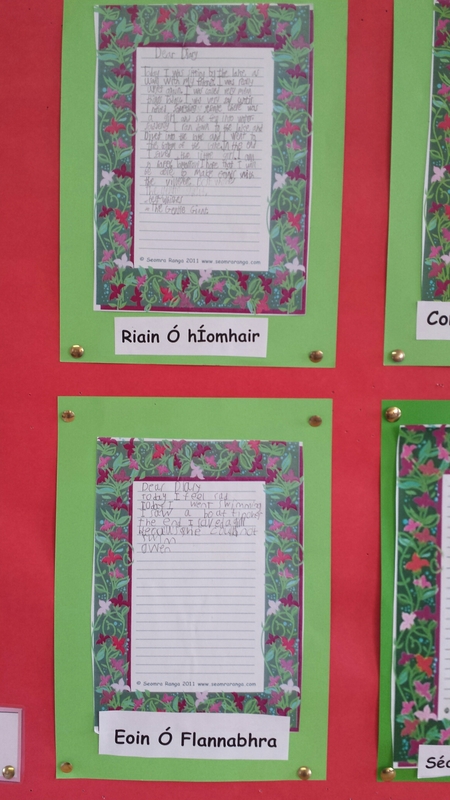 What is the distance by road from Derryvohey to Ballinamore Bridge? 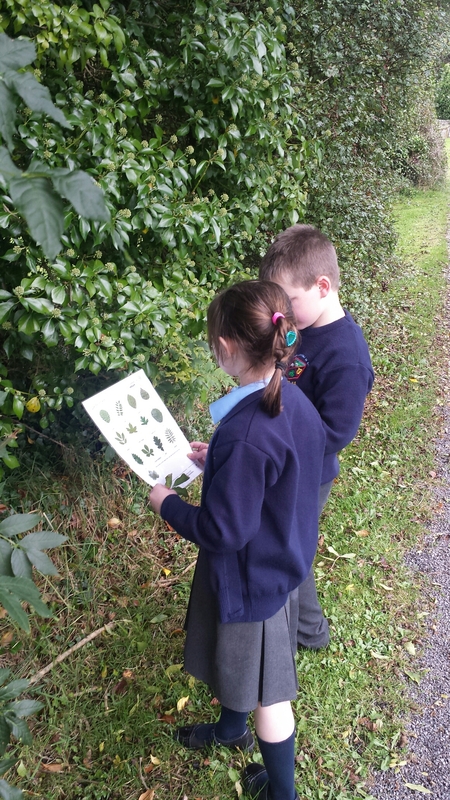 Which is nearer to the school, Balla or Kiltimagh Post Office? By how much? 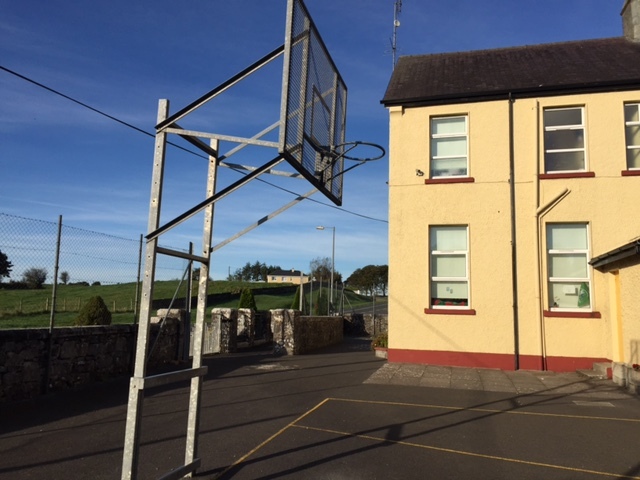 How many times could our basketball court fit along the runway of Knock Airport? 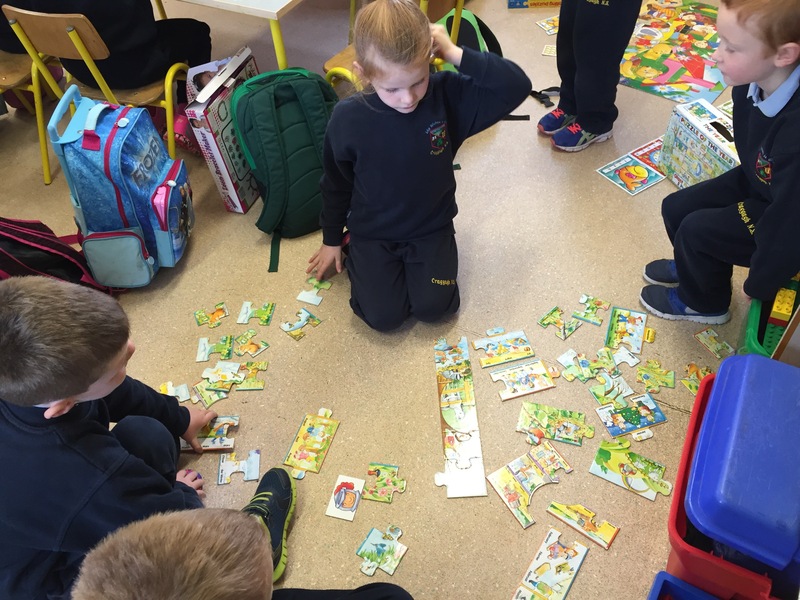 What is the area of your copy, table and classroom? 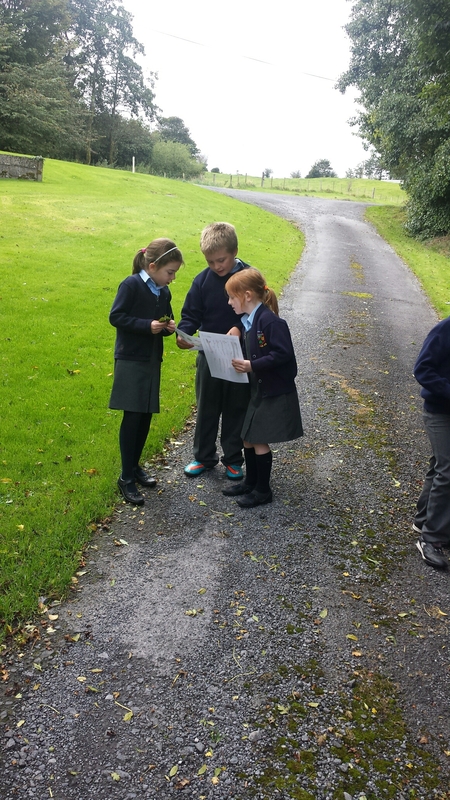 Using the map, what is the area of our school field? 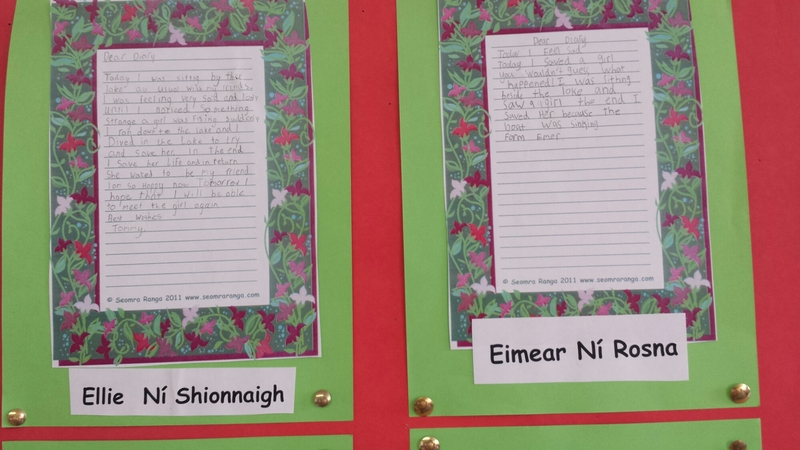 How many times would our school field fit inside Tesco, Castlebar. As the crow flies, what is the distance to The Spire on O’Connell St? Find out how tall The Spire is. Today we had a visit from Amanda of Team Hope. 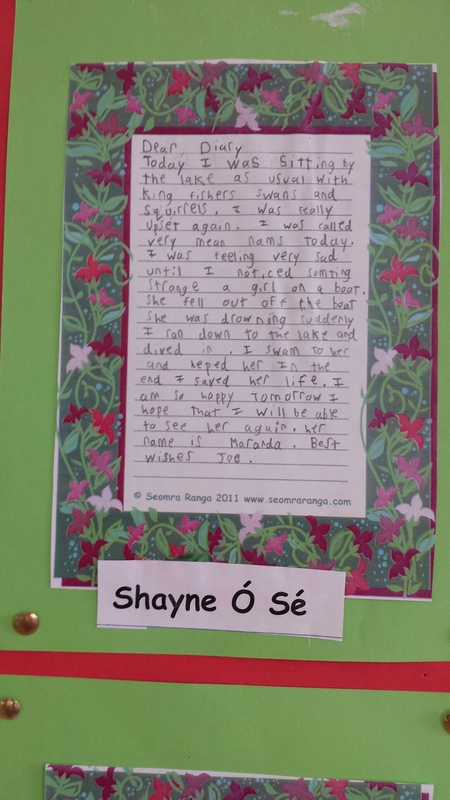 She spoke to us about the annual Christmas Shoebox Appeal. We will be participating again this year. 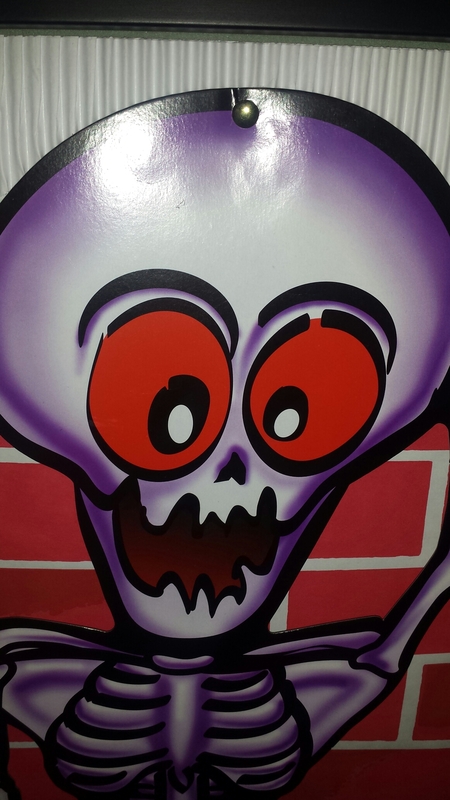 We are all going to have our shoeboxes filled and returned to school after the Hallowe’en Mid-Term Break on Wednesday, Nov 4th. What can I put in my box? TO WRITE – Items for school – like a pen, pencil, copy book, paper, colouring book, felt pens, sharpener, eraser, solar calculator. TO WASH – Some hygiene items – toothbrush and toothpaste, soap (wrapped please), facecloth, hairbrush, comb. WOW ! 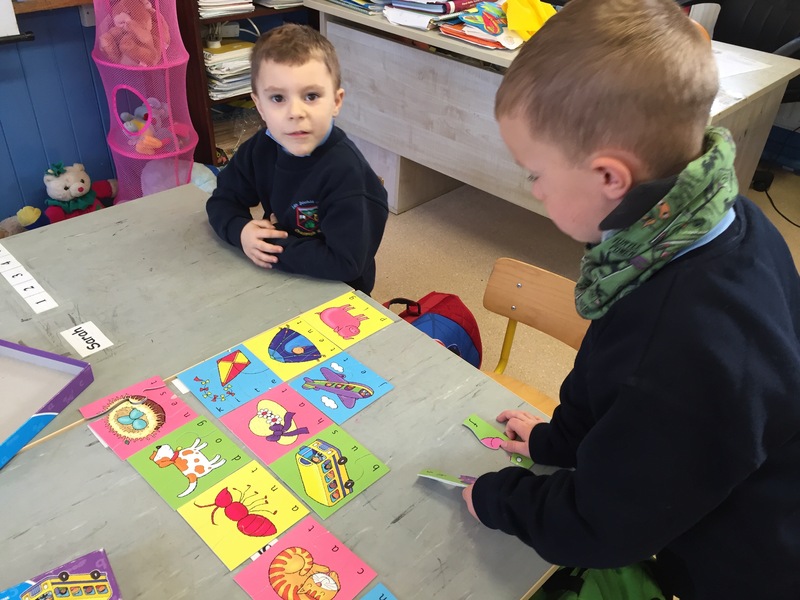 – A treat – sunglasses, game, small Irish gift, a photo of yourself, sweets (must be in date until at least March 2016), make up, a small musical instrument, toys like a doll, a car, cuddly toy, skipping rope, yo-yo, a finger puppet. 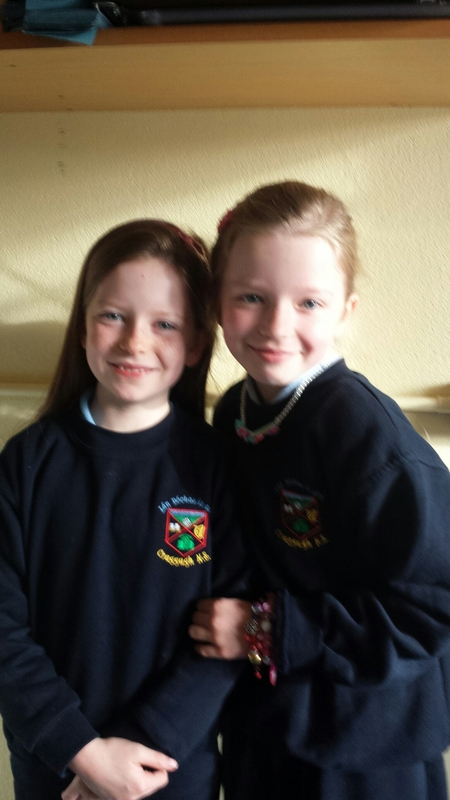 We would like to wish the very best of luck to Niamh and Tara, who are performing in the Kiltimagh Town Hall Theatre this evening. The girls are members of the Clann Machua Youth Drama Group, whose members range in ages from 9 to 14. They have been busy rehearsing over the past few months in the lead up to tonight’s performance. 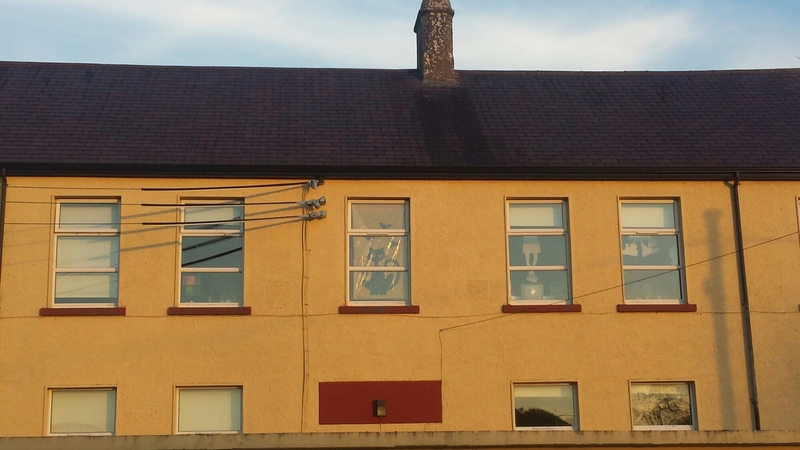 The group will perform two one-act plays by two of Ireland’s finest writers. 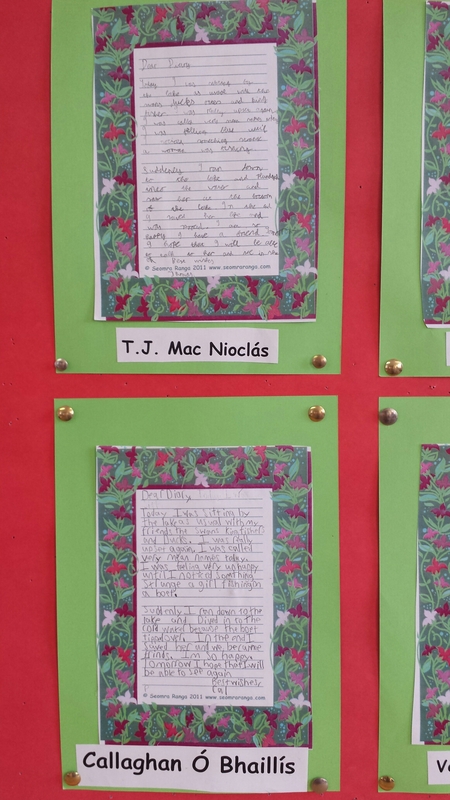 Tara plays the part of a 10 year old boy in WB Yeats’ “Cathleen Ní Houlihan”. Niamh plays the part of a little girl in “Spreading the News” by Lady Gregory. Her brother Joe, who is a past pupil of Craggagh NS, is also performing in this play. 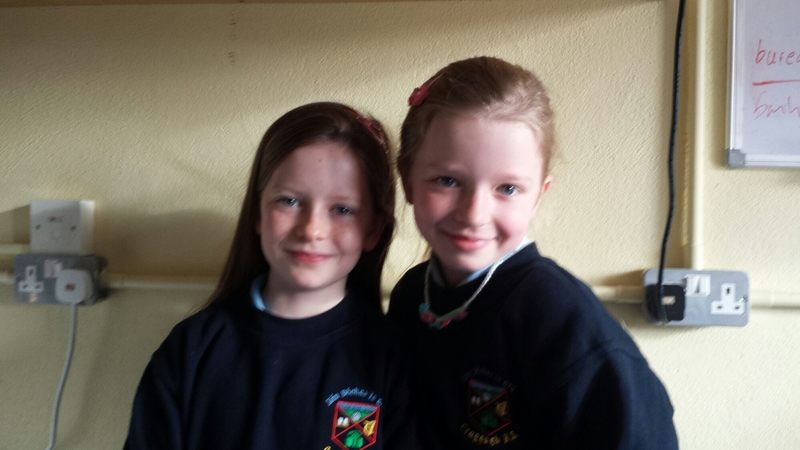 These two girls are no strangers to the stage having taken part in many school performances. The show begins at 8pm tonight in the Town Hall Theatre in Kiltimagh. It is sure to be an entertaining night of drama. 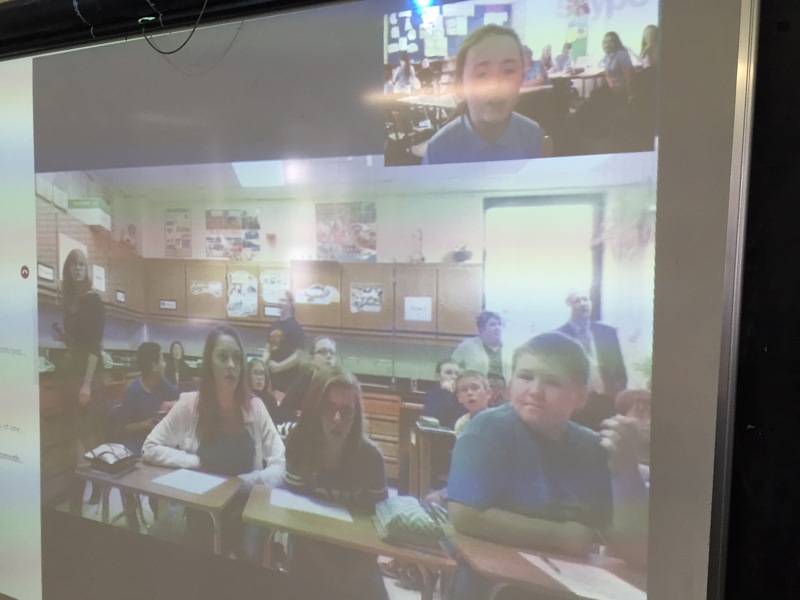 For our first Mystery Skype this year we connected with Ms Richman’s 7th Graders in Signal Knob Middle School, Virginia, USA. Meeting our new friends in Strasburg, VA, USA. 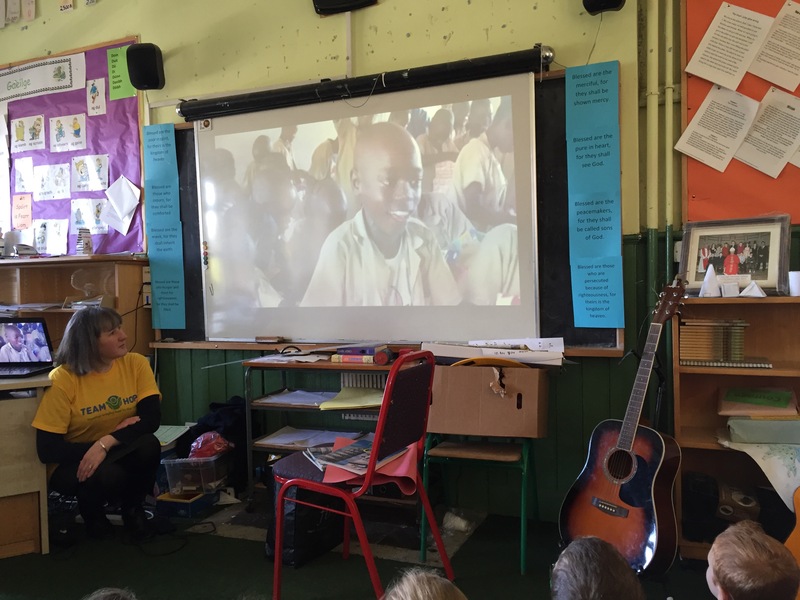 Mystery Skype is an educational game played between two schools anywhere in the world, over Skype. The aim of the game is to locate the school you have connected with by asking only yes/no questions. 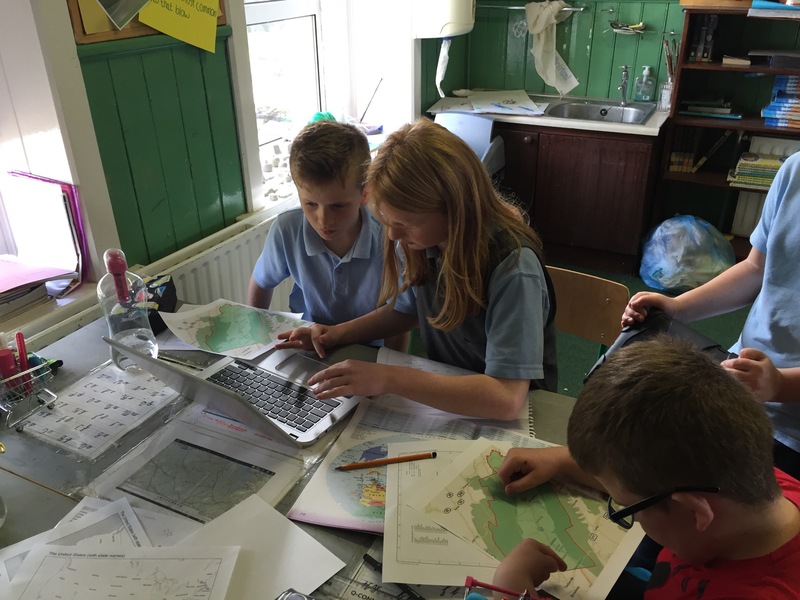 Children use maps, both digital and paper and plenty of deductive reasoning to figure out where the other school is. 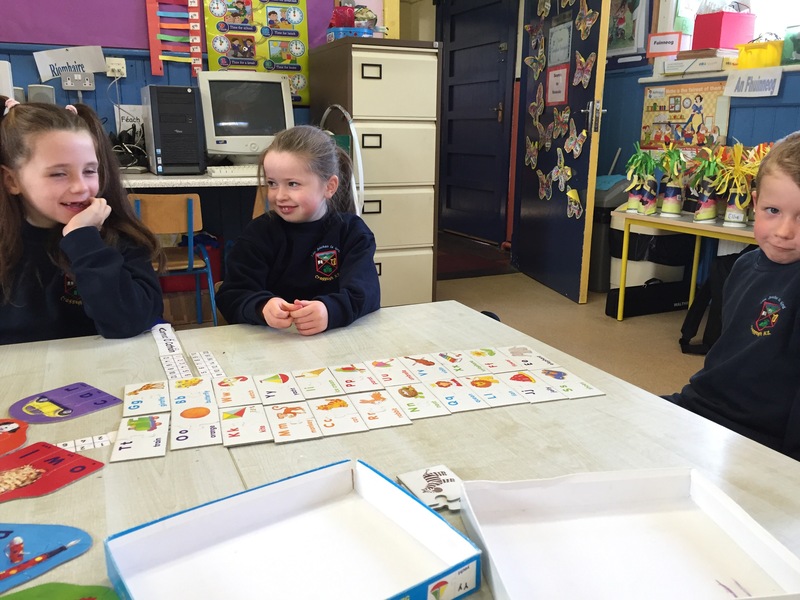 When the game is over the children can then spend some time chatting with their new friends, learning about their school, hobbies, culture etc. 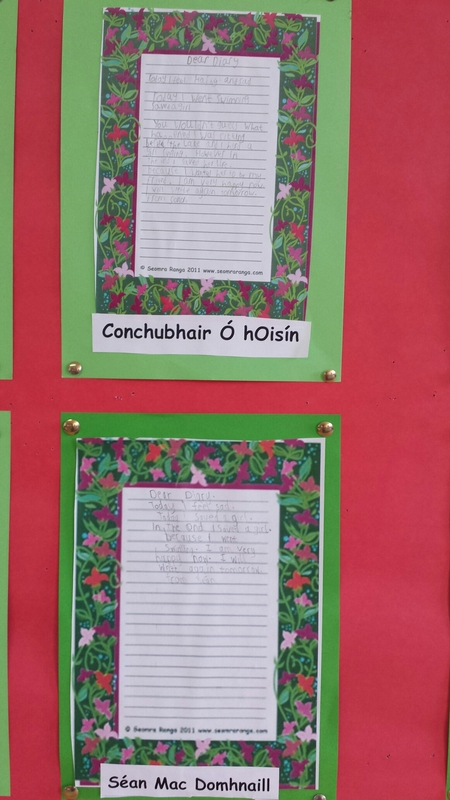 It’s an amazing learning resource and one that the children really enjoy. The essential tools: Atlas, laptop, iPad, pencil and paper! The children took turns in the hot seat, answering and asking questions, while our team of mappers tried to narrow down the location of the other school. Every child in the class has a role to play. We were able to identify their American accents immediately, our accent proved a little difficult to pinpoint! When they realised we were in Europe, they began by asking us if we were in the UK, they then asked us if we were in Scandinavia. We gradually zeroed in on their location. Strasburg has a population of approximately 4,000 people in Shenandoah County, Virginia, just west of America’s capital, Washington DC. It looks beautiful! When they discovered we were in Ireland, they found us very quickly! We then spent some time discussing our two schools and our hobbies. It was such an eye opener to see the differences, but even more so the similarities. 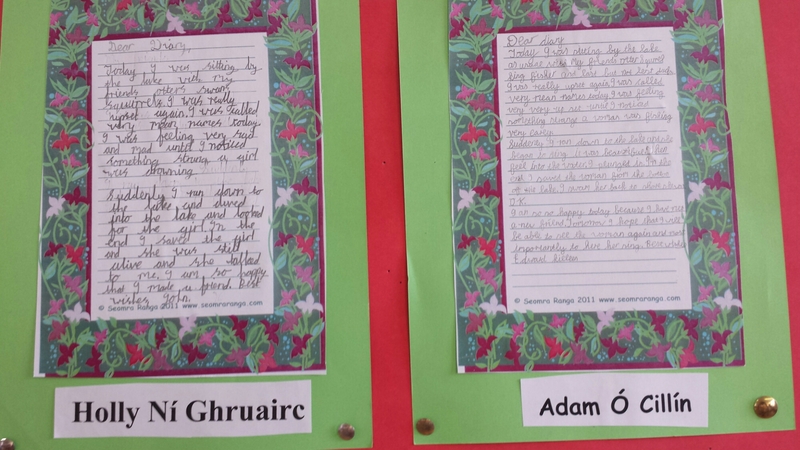 They had never heard of our favourite sport, Gaelic Football (we didn’t get a chance to tell them about hurling!). They play a huge range of sports too, their favourite seems to be American Football, but they also mentioned basketball, volleyball, soccer and more. We can’t wait for our next Mystery Skype! 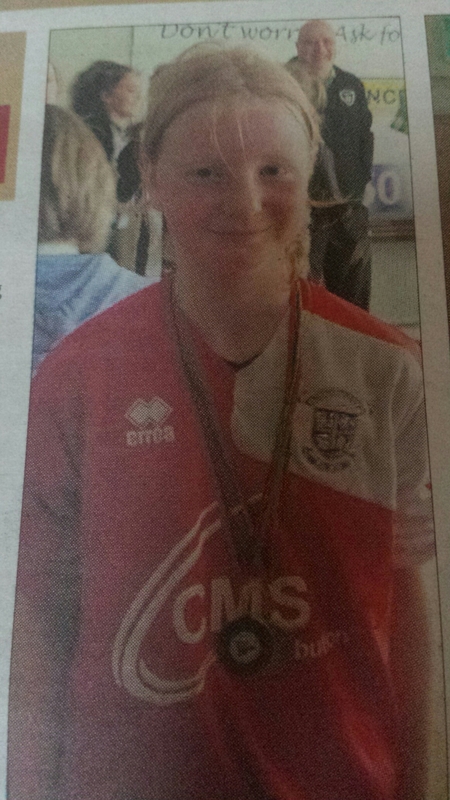 Congratulations to our very own Anna McDonnell, who was awarded ‘Player of the Tournament’ at a recent Mayo county blitz! Anna scored a whopping six goals for her team. Anna plays with the U12 Kiltimagh/Knock girls team who were overall winners of the recent Mayo blitz. The girls now go forward to the Connaght blitz. We wish Anna and her team-mates the very best of luck! 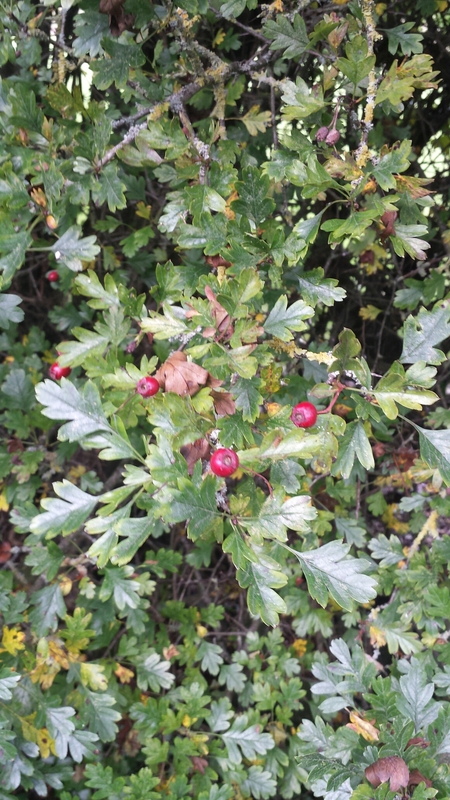 We decided to take advantage of the beautiful weather yesterday by going on a nature walk. 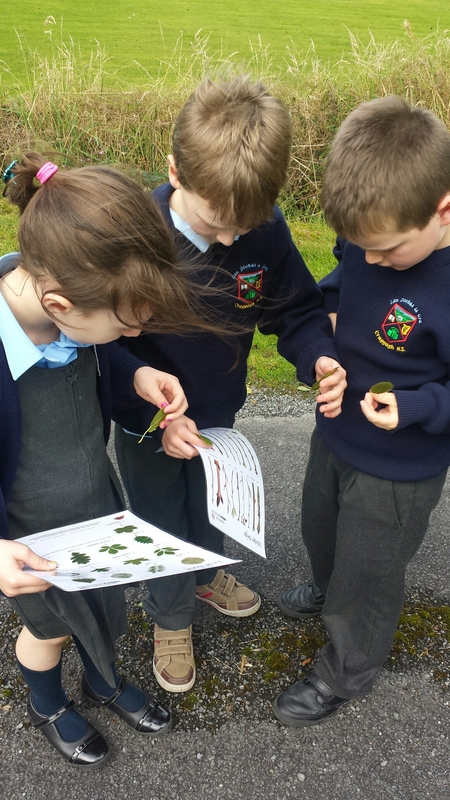 We brought identification cards for leaves and twigs to help us figure out what types of trees we have in our local area. 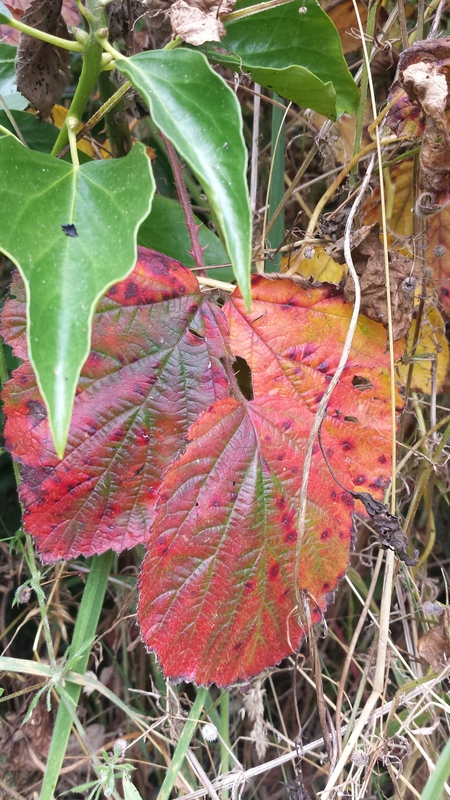 We found ash, hawthorn, sycamore and elder trees as well as lots of ivy and bramble plants. 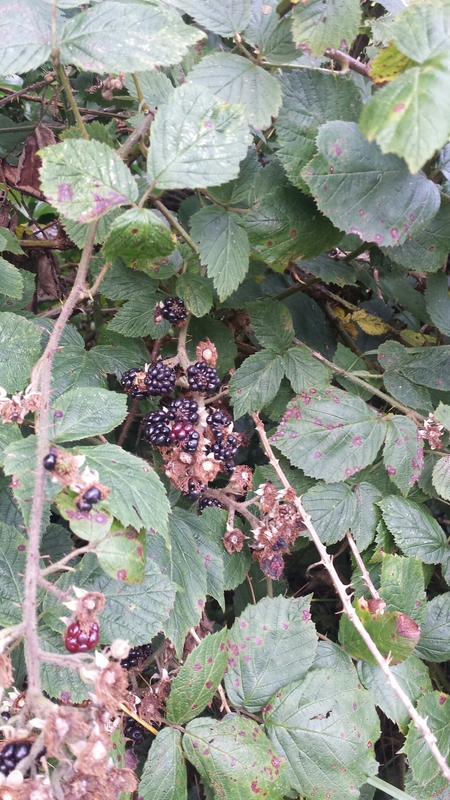 There were lots of leaves on the ground and plenty of blackberries for making jam!